We have written our own library to simplify the programming and interface to the RedBot motors, encoders, sensors, and other peripherals. This is a quick summary / overview of the RedBot Library, classes, methods, and variables. The RedBot library has a number of pre-written functions and commands that make controlling the robot easier. 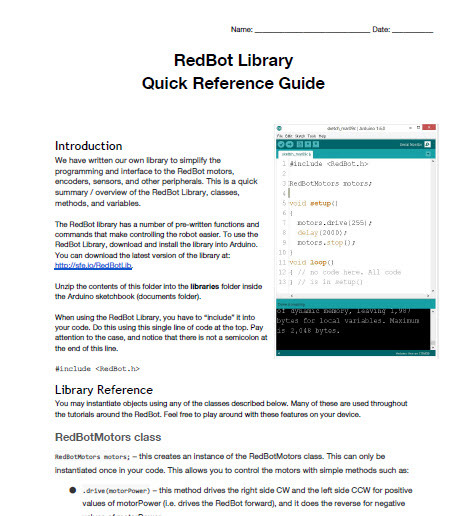 To use the RedBot Library, download and install the library into Arduino. You can download the latest version of the library at:http://sparkfun.com/redbotlib.